Film is composed of a series of 16 one-minute presentations of winners of the State Award for Technical Culture Faust Vrančić for the year 2006. The reward is awarded by the Ministry of Science, Education and Sport, and the winners for 2006 were: M.Sc. Filip Kljajić from Belišće; Ivica Lovrić, M. Sc. in Engineering From Zagreb; prof. M. Sc. Darko Manestar, M.D. from Rijeka; Mateo Mijić, prof. from Split; Miljenko Ožura, prof. from Karlovac; Višnja Rajić, teacher from Varaždin; Katica Trumbetaš, teacher from Velika Gorica; Ivan Vican, expert in energetics and innovator from Zagreb; Stjepan Vidić, prof. from Osijek; Branko Vidović from Bjelovar; Aeroclub Delta Krila from Našice; Society of Technical Culture Pedagogues from Osijek; Society of Technical Culture Pedagogues from Međimurje County from Čakovec; Photo film club Daruvar from Daruvar and Young Technicians’ Club of the Elementary school Franjo Serta from Bednja. 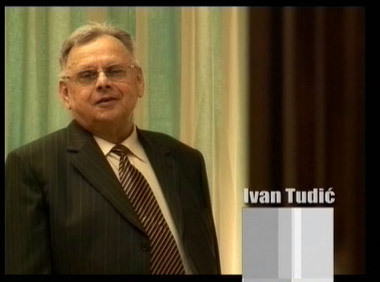 Winner of the Faust Vrančić award for life achievement in 2006 was Ivan Tudić, M. Sc. in Engineering from Karlovac.